The development of literacy skills through early experiences with books and stories is critically linked to children’s later success in learning to read. As Ghana strivesto increase national literacy levels, parents and communities are called upon to develop and nurture a culture of reading outside the classroom to support their children's learning in school and beyond. The USAID Partnership for Education: Innovating Activity (Innovating) complemented other initiatives taking place in the classroom and encouraged all Ghanaians to build communities of reading throughout the country. 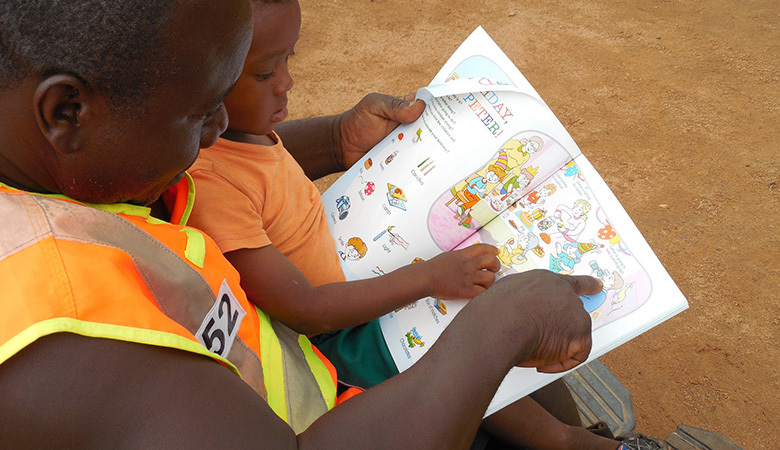 Innovating worked closely with the Ministry of Education, Ghana Education Service, and local stakeholders to raise public awareness about the importance of reading and the benefits of developing good reading habits. The activity focused on the Greater Accra, Ashanti, Western, Volta, and Northern regions of Ghana.